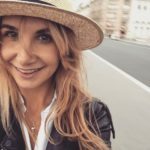 Monika is a digital nomad with a passion for business and wellness. Originally from Melbourne, Australia she loves chasing the summer finding new ways to nurture the body and mind. She is the cofounder of a content marketing agency, an avid yogi and the voice behind mymonpie. She believes morning routines are crucial and hers is pretty solid.